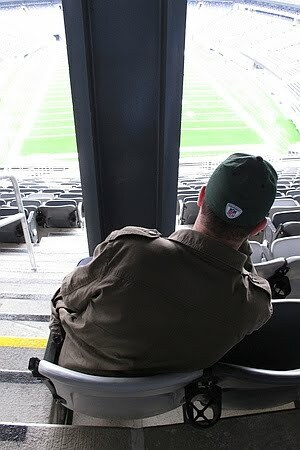 According to the New York Post, however, these seats will be removed, so that's a relief. In completely unrelated news, an incredibly rare hockey item sold at auction this past Friday - for almost $200k. What was the item? None other than a game-worn Bobby Orr rookie jersey. Boom! What jerseys should(? )/used to look like. 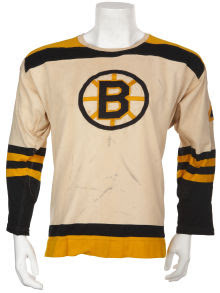 Sold by the auction site Heritage Auctions, who called it "the Holy Grail of hockey collectibles," the jersey is one of only two that has survived since Orr's rookie season in 1966-1967. However, if you're looking for the a-ha moment, I can assure you there's nothing to connect the new stadium with Bobby Orr's sweat-stained old jersey. It's been a busy week (already! ), so you'll have to forgive me for just a couple rapid-fire entries that capture my attention.